Both investors and people who just want to find a great home at a great price work with us each and every month to find those hard to find properties at excellent prices that aren’t usually on the market. 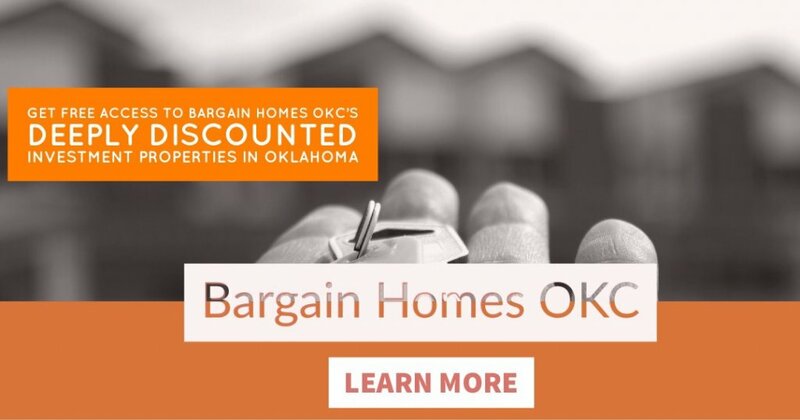 Bargain Homes OKC real estate investment firm who helps people get out from under houses that they can’t (or don’t want to) hold on to anymore. Often times we help people get out of foreclosure by buying their houses for fair (but discounted) prices because of our ability to buy with all cash. If you’re curious to see what investment properties in Oklahoma we have available today, get started by filling out the pre-qualification form below. We do have properties listed on this website but the best deals don’t even make it to this site because they get snatched up by those already pre-qualified BEFORE we even get a chance to list it online or on the MLS.